This year, the French Research Center in Humanities and Social Sciences in Prague (CEFRES, USR CNRS 3138), CNRS, and the Czech Academy of Sciences (AV ČR) are launching the second call for applications for the “TANDEM” incubator program. “TANDEM” is a program of the CEFRES Platform and endeavors to excellency in social sciences and humanities. 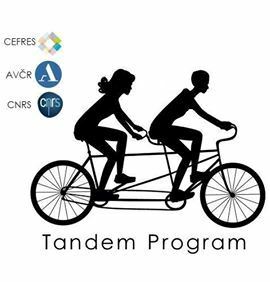 The aim of the TANDEM program is to associate two researchers, one from the AV ČR, one from the CNRS (French National Research Center), around a joint research project leading to the submission of an ERC project (Synergy grant, but also Starting, Consolidator, or Advanced grant). 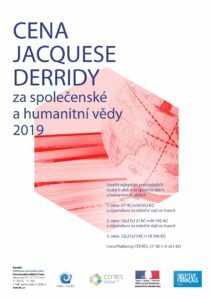 This award is included within the Jacques Derrida Award organized by the French Embassy in the Czech Republic and Mgr. Karel Janeček, PhD., MBA, which rewards the best PhD research work in social sciences and humanities in the Czech Republic. Born from the desire to support young researchers from the Czech Republic who endeavour to embed their research within the European and international networks, this initiative from the CEFRES Platform aims to award an article in social sciences and humanities published in a high-level peer-reviewed academic journal. 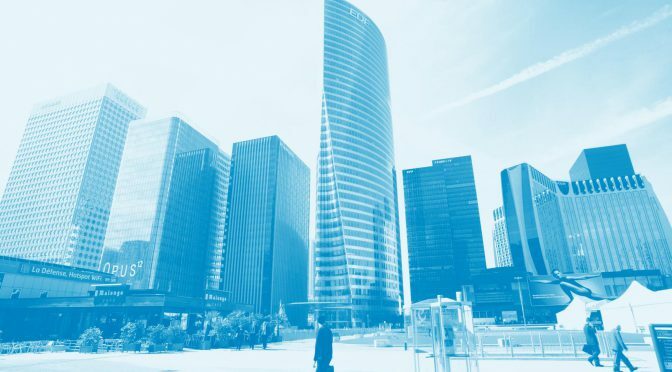 Since 2014, CEFRES Platform gathers the French Research Center in Social Sciences in Prague, the Czech Academy of Sciences and Charles University in Prague. An interdisciplinary jury presided over by the director of CEFRES and representatives from the CEFRES Platform will select the laureate. The laureate will be notified by 14 June 2019 and will have to be available for the award ceremony. Supported by Mgr. 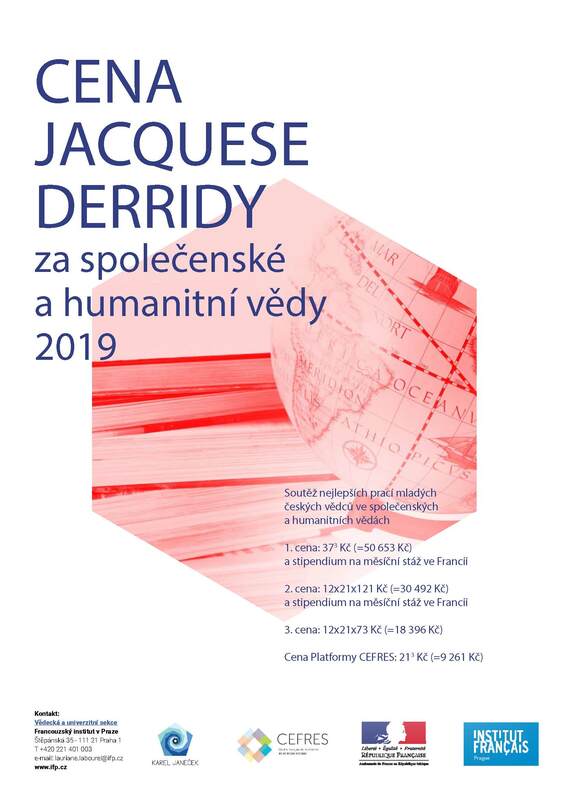 Karel Janeček, MBA, PhD., the award will be given at the Pantheon of the National Museum (Prague) on 26 June 2019 along with the other scientific awards of the French Embassy. 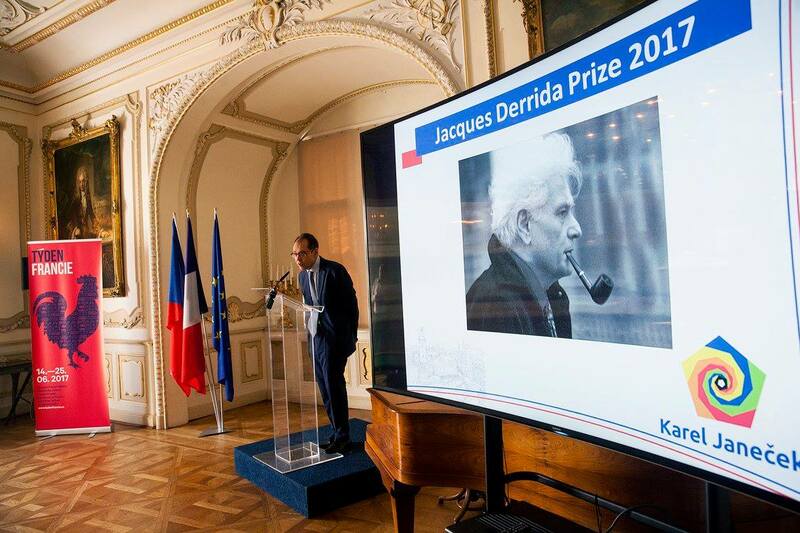 To apply to the Jacques Derrida Award, see the conditions here! Tomáš Jirsa (FF UPOL Olomouc – literary theory), for his article “Reading Kafka Visually: Gothic Ornament and the Motion of Writing in Kafka’s Der Proceß”, published in Central Europe, 2015/13(1-2): 36-50. 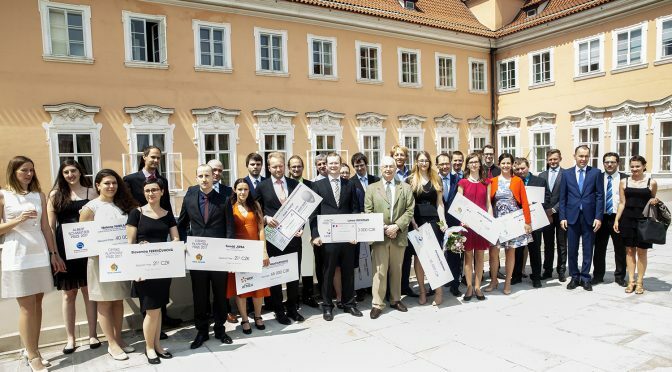 The award ceremony took place on 16 June 2017 at the French Embassy in Prague in the presence of H. E. Roland Galharague and Nobel Prize Jean-Marie Lehn. The prizes were supported by Mgr. Karel Janeček, PhD., MBA. The Czech Academy of Sciences (AV ČR) and CEFRES/CNRS are launching this year a new research program called TANDEM based on the CEFRES Platform’s cooperation and endeavor to excellency in social and human sciences. The aim of the TANDEM program is to associate two researchers, one from the AV ČR, one from the CNRS (French National Research Center) around a joint research project leading to the submission of an ERC project (starting, consolidator, advanced…). The first TANDEM team will start its work from February 2018 for 2 years. It will be based at CEFRES. ERC projects can be submitted once per year during the appointment of the team at CEFRES. 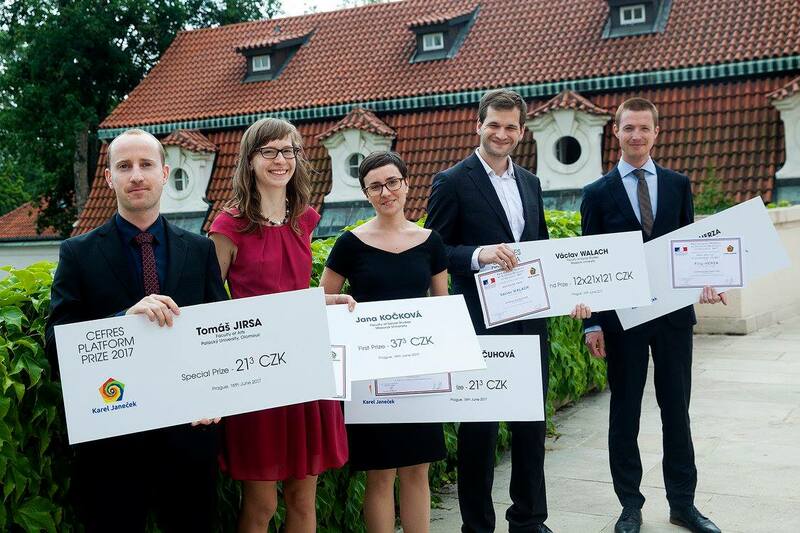 Young researchers from all disciplines in social sciences and humanities from the Czech Republic may apply to the CEFRES Platform special award, whatever the topic of their research may be. An interdisciplinary jury presided over by the director of CEFRES and representatives from the CEFRES Platform will select the laureate. The laureate will be notified by 1 June 2017 and will have to be available for the award ceremony. Supported by Mgr. Karel Janeček, MBA, PhD., the award will be given at Palais Buquoy, the seat of the French Embassy in the Czech Republic on 16 June 2017 along with the other scientific awards of the French Embassy. 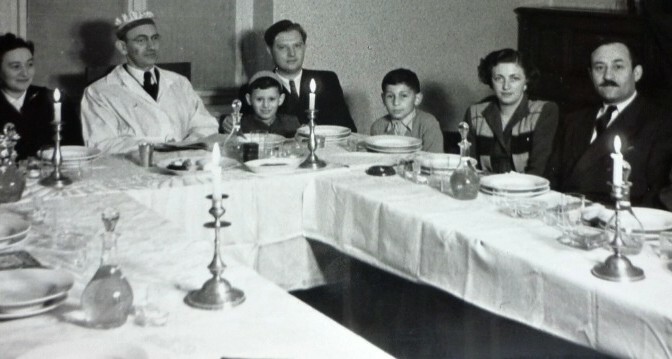 The experience of the Jews under the Communist régimes of east-central and eastern Europe has been a hotly debated topic of historiography since the 1950s. Until the 1980s, Cold War propaganda exerted a powerful influence on most interpretations presented in articles and books published on both sides of the ‘Iron Curtain’. Moreover, most works focused both on the relationship between the régime and the Jews living under it and on the role of the Jews in the Communist/Socialist movements and the political events connected with the rise of antisemitism and emigration.